Davidoff Small CigarsThere are 1 product. 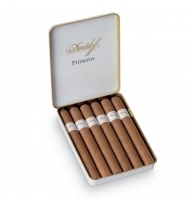 Davidoff aromatic Primeros are light and mild in flavor. Packed in tins of 6.